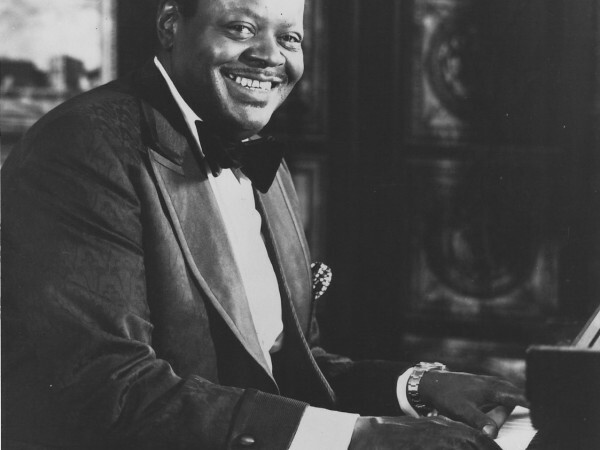 An eminent jazz pianist with technical mastery and limitless creativity, Oscar Peterson was a performer who could instantly inspire awe. 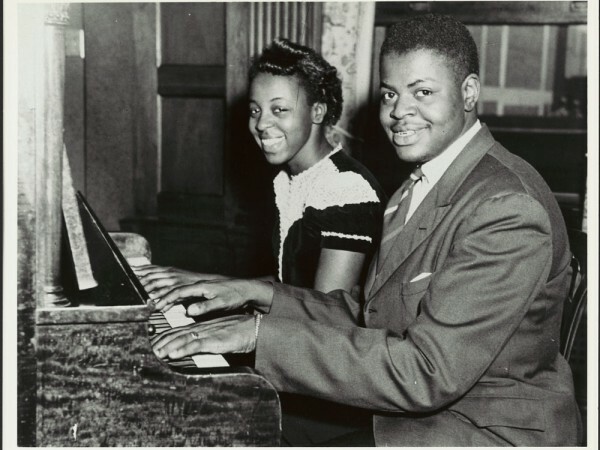 He earned the nickname “Maharaja of the Keyboard” from none other than Duke Ellington, and can count many of the greatest names in jazz among his devoted legion of fans. Peterson was born August 15, 1925, in Montreal. His performance career began while he was still in high school, as pianist with the Johnny Holmes Orchestra. After a few years with the orchestra, he formed his own trio, the first in a format he maintained throughout his lifelong career. With the trio, Peterson quickly gained fame and popularity throughout Canada. His appearances at the Alberta Lounge in Montreal were broadcast live on the radio. 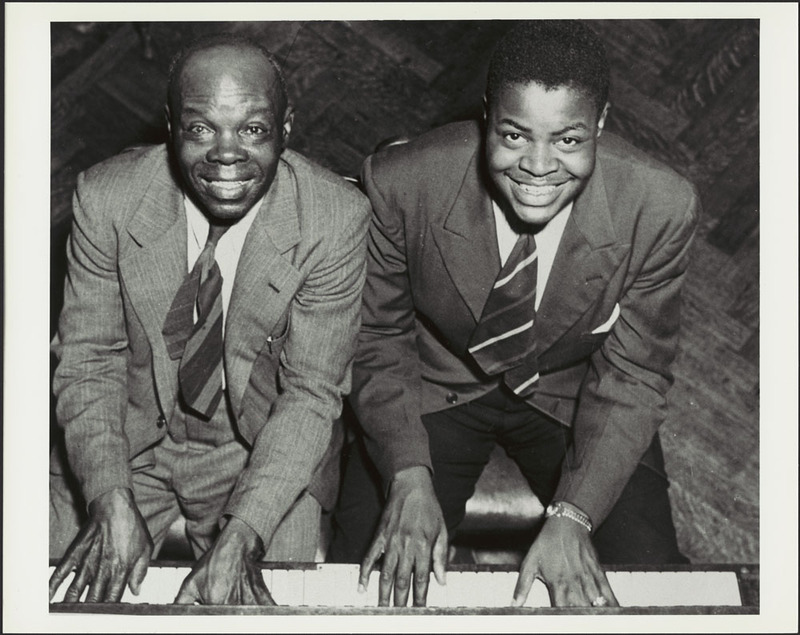 In 1949, impresario Norman Granz heard one of those broadcasts, went to the Alberta Lounge and enticed Peterson into making a surprise guest appearance with Granz’s all-star “Jazz at the Philharmonic” at Carnegie Hall later that year. Leaving the audience amazed, Peterson joined JATP in 1950 as a full-time touring member. He formed a piano-bass duo with Ray Brown and began recording for Granz at the same time. He also added Barney Kessel as the first of the guitarists with whom he would form trios. 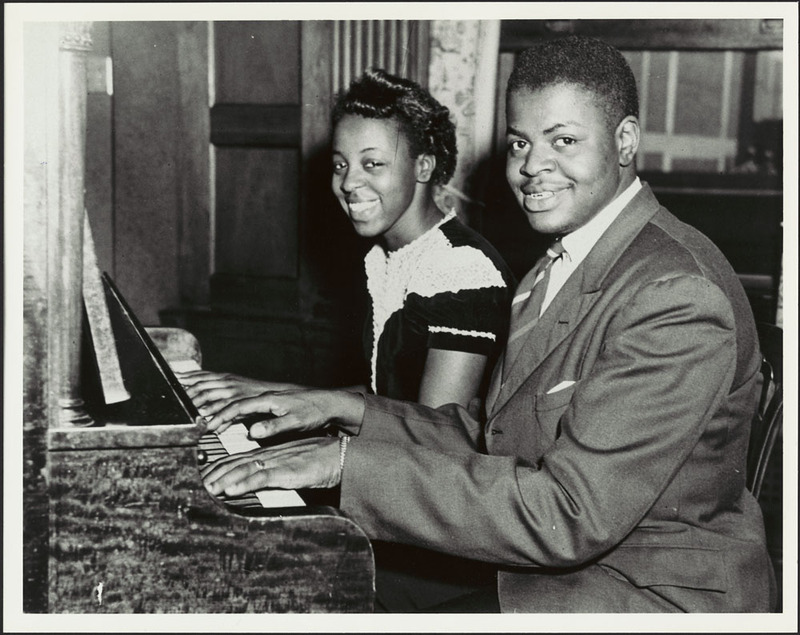 He was voted Jazz Pianist of the Year in 1950 by the Downbeat Readers’ Poll, a title he continued to garner for an additional 12 years. He toured the globe extensively with JATP as well as with his own trio. Peterson began composing while still a member of the Johnny Holmes Orchestra, and devoted more and more time to composition while still maintaining a vigorous performance schedule. His “Hymn To Freedom” became one of the crusade songs of the civil rights movement led by Dr. Martin Luther King, Jr. It is still performed by choirs worldwide. He also composed a salute to his beloved Canada, “The Canadiana Suite,” in the early 1960s. Peterson has an extensive discography with his trio and quartet recordings, as well as recordings with many other jazz greats. His albums include appearances from Ella Fitzgerald, Count Basie, Louis Armstrong, Duke Ellington, Dizzy Gillespie, Roy Eldridge, Ben Webster, Coleman Hawkins and Joe Pass. During his life and career, Peterson received many awards and honours. These include the Praemium Imperiale (the arts equivalent of the Nobel Prize, presented by the Japan Art Association), the UNESCO International Music Prize, eight Grammy Awards (including a Lifetime Achievement Grammy), the 1993 Glenn Gould Prize (of which he was the third recipient, the first chosen by unanimous decision and the first ever non-classical musician) and many honourary degrees. His passion for life, love and music remained strong throughout his life, and he continued to perform until shortly before his death. 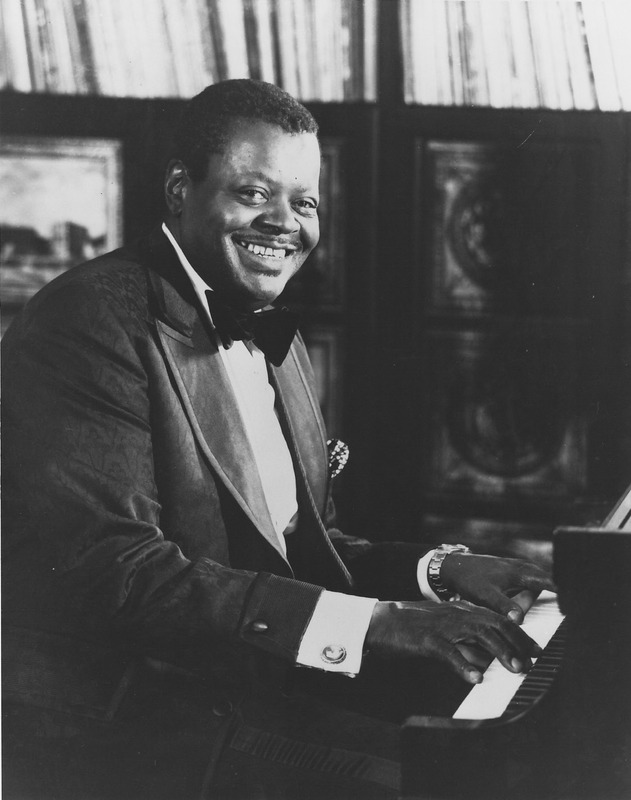 Oscar Peterson passed away at his home on the morning of December 23, 2007. His legacy lives on through his incredible music. Wins the CBC’s national music competition at the age of 14. Records first album, I Got Rhythm. Joins Norman Granz’s Jazz at the Philharmonic. 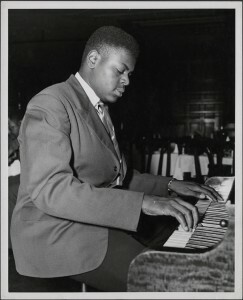 Forms the first Oscar Peterson Trio in the early 1950s. Records with Ella Fitzgerald and Louis Armstrong on their first collaboration. Named an Officer of the Order of Canada in 1972, later promoted to Companion of the Order in 1984. Serves as chancellor at Toronto’s York University from 1991 to 1994. Receives the Grammy Lifetime Achievement Award. A dedicated performer, Peterson continued to perform live even after a stroke in 1993 limited use of his left hand. In 2015, Peterson’s wife produced Oscar, with Love, a three-CD set featuring prominent jazz pianists playing on his original Bösendorfer piano. He has received more than 10 honourary doctorates from universities in both Canada and the United States.